It's that time of year again and to add the excitement and add a little festive cheer to MythTV I've created a new Christmas 2014 version of the popular MythCenter theme which has now been added to the theme chooser for master and 0.27-fixes users. 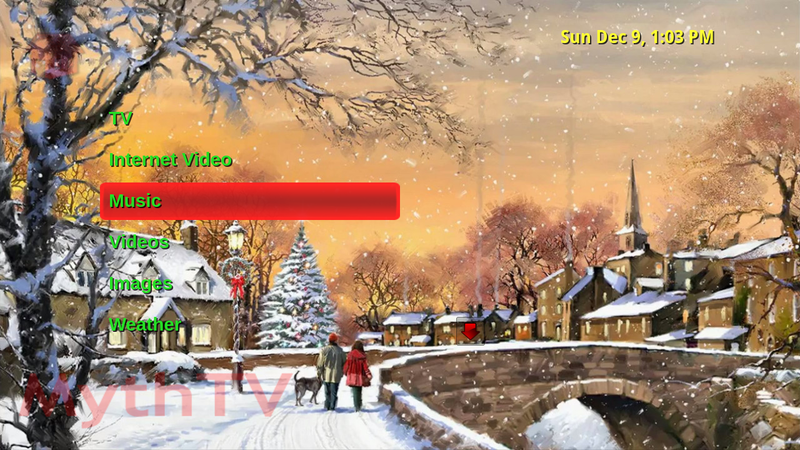 It simply adds some festive random backgrounds and animated snow as well as a Christmassy colour scheme. I'm still tinkering with it to get the font colours right and make some screens easier to read but I wanted to make it available now so others can try it before Christmas. If you use master or 0.27-fixes version v0.27.4-26-gea73ed3 or later the background will change every minute otherwise you will just get a random background when the frontend starts. You can add your own background images to the themes 'backgrounds' directory and they will be automatically randomly shown. If you have some nice backgrounds that are free to use then send them to me and I will add them to the theme. Happy Christmas and Happy New Year to all MythTV users.